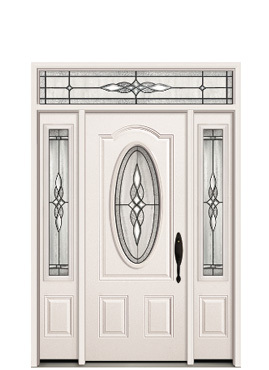 With the Decorative glass collection, you can add distinction, beauty and light to an entryway without compromising security or durability. 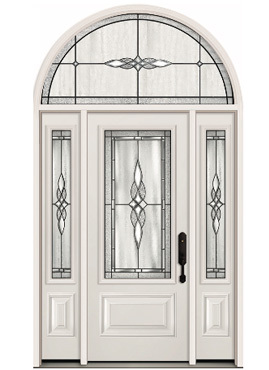 Each one is available in beautiful handcrafted caming and tempered glass, making a lasting impression on all who cross your threshold. 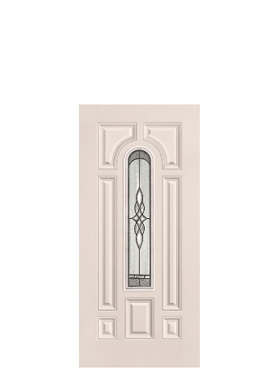 Vinylguard Windows are available in a wide spectrum of exterior colours that perfectly match all Vinylguard Door Products. The exterior colour process features superior adhesion, U.V. stability and impact resistance. Computer matched custom painted colours are also available. Decorative Grills are sealed between the panes of glass making them absolutely maintenance free. Personalize your home with any of the wide variety of grill types, colours and sizes that Vinylguard has to offer, whether it be a colonial, traditional or heritage design or create a design of your very own to add that perfect, distinctive finishing touch to your home. These give a whole new dimension to your home with Vinylguard's superbly accented contoured SDL Grills. The look of a divided lite while maintaining the efficiency levels of a single sealed unit. SDL Grills can be made to just about any design imaginable and come in all of Vinylguard's exterior colour selections. The bottom sash slides up and stops in multiple positions to allow for the desired amount of ventilation. 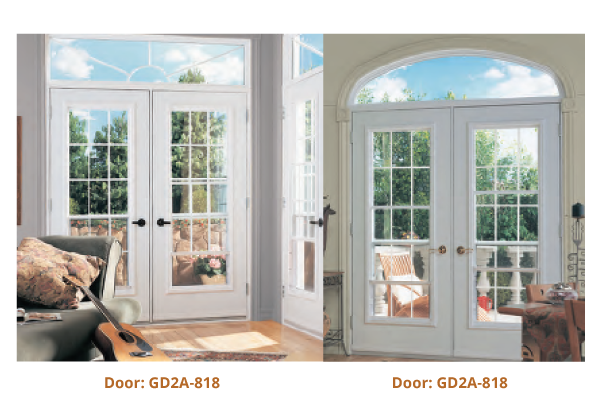 Eliminate the need for a screen door or a sliding screen on a garden door. Almost 3/4 of total heat loss in a standard window occurs because the warm inner pane of a double glazed window readily emits heat to the cooler outside pane. 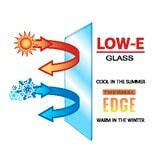 LowE glass disrupts that transfer of heat loss and improves the insulating value in the winter by approximately 50%. 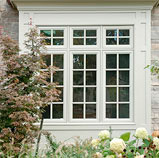 LowE glass also reduces solar heat gain in the summer by the same amount, approximately 50% over standard clear glass. These energy savings will contribute significantly at reducing energy costs. 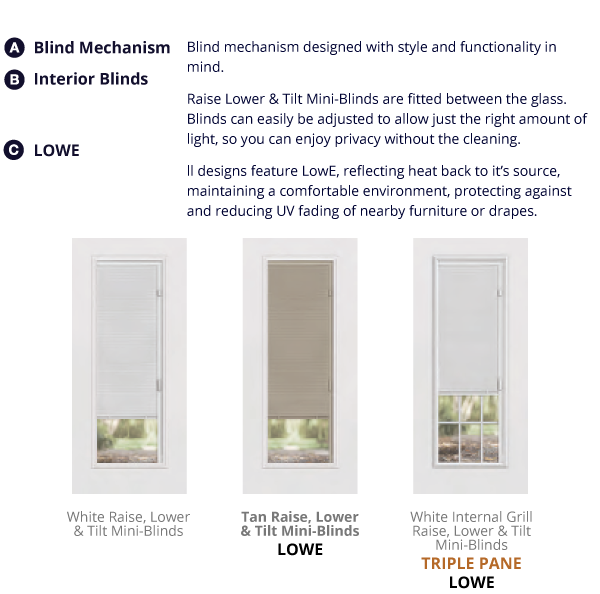 LowE glass also filters out nearly twice as much of the damaging UV radiation than clear glass, helping to prevent fading to draperies, flooring and furnishings. 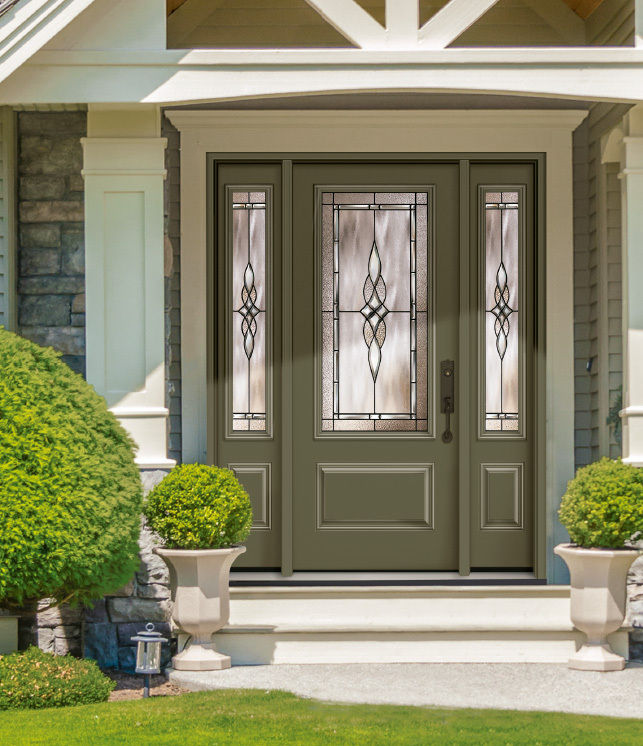 LowE glass will not just save you money, it will help to maintain a uniform comfort level throughout your home all year long. 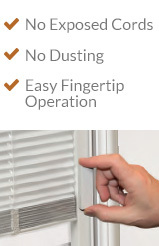 The air is removed from between the panes of glass in a sealed unit and replaced with Argon Gas which is a clear, odorless inert gas that reduces conduction heat loss, and has a lower conductivity than air which also reduces heat transfer by approximately 30%, thus improving the U-Value and energy efficiency of the sealed unit. Argon Gas also reduces convection losses because it is heavier than air and it will suppress gas movement between the panes of glass, again resulting in higher energy efficiency. 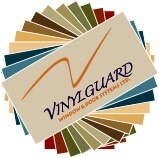 As of September 1st, 2010 Vinylguard’s standard insulated glass offering will include Super Spacer. 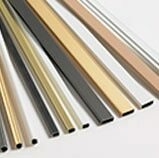 Edgetech’s Super Spacer technology is a dual-seal system that is known in the industry for its exceptional lifespan, effective thermal performance, as well as flexibility for units of all shapes and sizes. The structural adhesive plus perimeter edge moisture vapor seal equals the most reliable insulating glass unit on the market today. 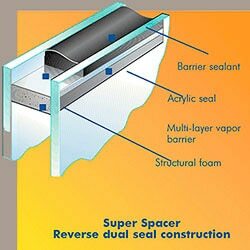 Vinylguard’s window and patio door systems will feature this industry leading spacer system. 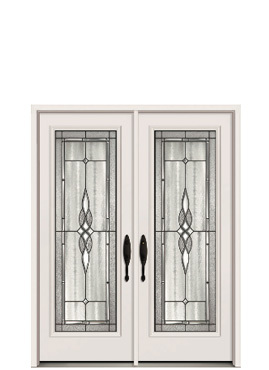 Create your very own distinct leaded glass or wrought iron glass design to express your own unique personal style and taste. Customizing is our specialty. Available in Satin Nickel, Black Chrome, Brass and Flat Black. Includes Lifetime Warranty. Copyright 1991-2017 © Vinylguard Window & Door Systems Ltd.